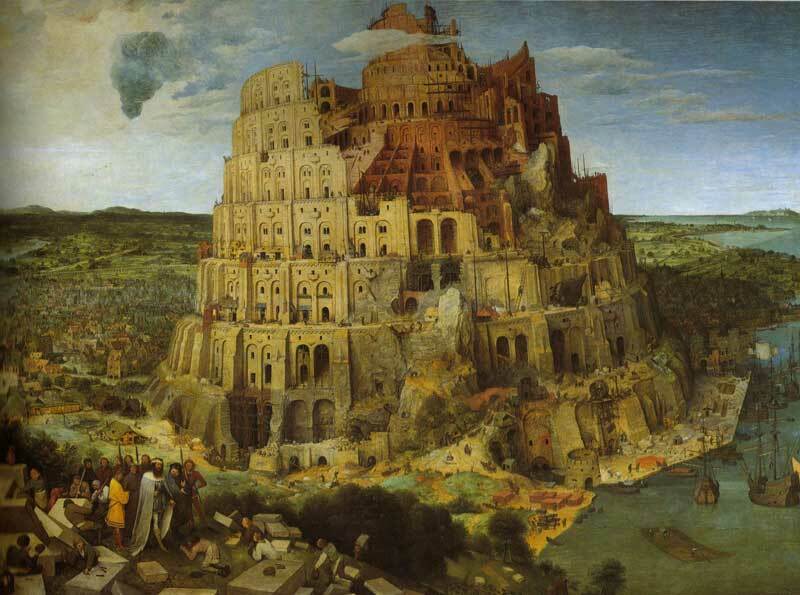 and to inform work on their maintenance. With the deployment of the new reform of the CAP in 2015, livestock farmers using High Nature Value pastures containing "too many" trees and shrubs are confronted with increased difficulties to receive the much needed EU support for their farming activities. This is threatening the viability of some of our most sustainable livestock farms, and the biodiversity maintained by such farming systems. 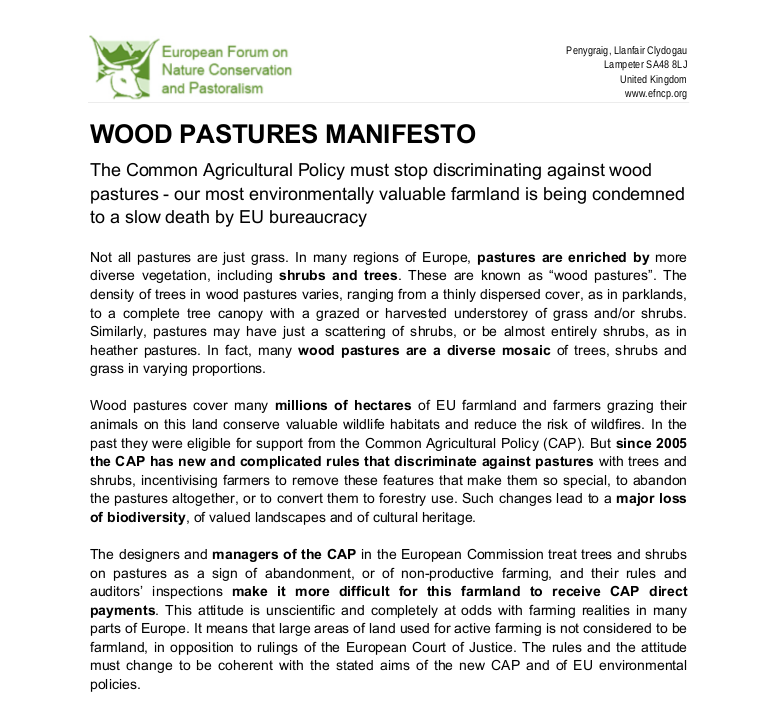 PLEASE SIGN TODAY OUR WOOD PASTURES MANIFESTO TO SHOW YOUR SUPPORT! 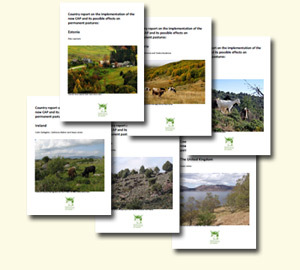 EFNCP has published new reports looking at the application of the new CAP to permanent pastures in six Member States: Bulgaria, Estonia, France, Ireland, Spain and UK. As highlighted in this European Parliament Wood Pastures Policy Seminar, the overall picture is that mainstream CAP instruments in Pillar 1 fail to address the main challenges faced by semi-natural or High Nature Value pastures, and even exacerbate the threat of abandonment or damaging actions by farmers in some situations. Remember you can follow us on twitter and like our facebook page.